Although no one knows the exact numbers yet, not having an estate plan may have cost Ms. Franklin’s estate upwards of $27 million in estate taxes ($80 million, less $11.2 million single estate exemption, multiplied by 40 percent). So why are people (celebrity and non-celebrity alike) so reluctant to sit down with an estate planning attorney and make sure their legacy will be preserved? So we put it off or don’t think about it at all until one day we’re gone and our loved ones are left to sort through everything. When your wishes are not specifically spelled out, family squabbling is almost inevitable. An estate plan, which typically includes a will and trust, can aid in expediting the estate settlement process, keeping matters private and out of probate court. We can look to another celebrity for a real-life example of family strife: when former quarterback Steve McNair was murdered by his mistress in 2009, his estate was frozen and he had no will to determine who would be the beneficiaries of his $19.6 million estate. It might seem obvious (his family, right? ), but “family” is a fluid term, especially when your family is like Steve’s – a wife with two sons, and Steve’s children from previous relationships, not to mention his mother, who he had bought a house for while still alive. Two years after his death, his wife and two sons received the bulk of the estate (after they evicted Steve’s mother from her house), with children from previous relationships receiving some as well. All of this could have been sorted out with the help of a will. 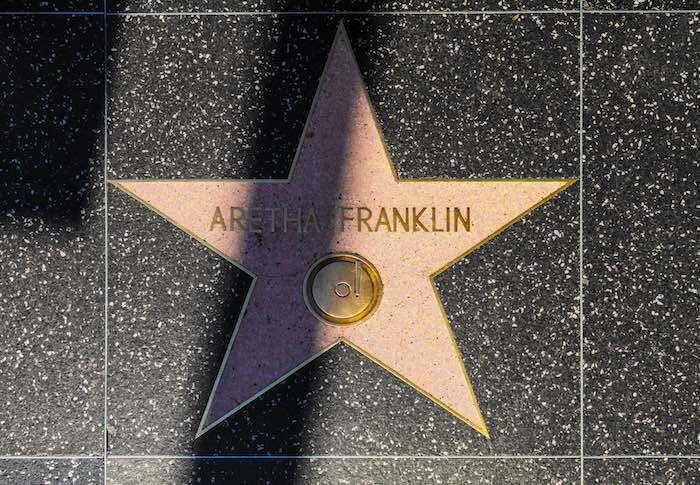 In honor of the late Aretha Franklin, let’s all stop and “THINK” by showing love and “R-E-S-P-E-C-T” for our dear ones by getting an appropriate estate plan in place. In turn, we can sleep soundly at night knowing that measures are in place to preserve your legacy, lessen the potential for family strife, keep estate matters private, and keep Uncle Sam’s portion (if any) to a minimum. Laura Navarro is a Certified Financial Planner Professional at Manchester Financial. Manchester Financial is a Westlake Village based Registered Investment Adviser serving families in Southern California since 1990. Manchester’s trademarked “Powered by Planning” process helps clients move forward with financial confidence.